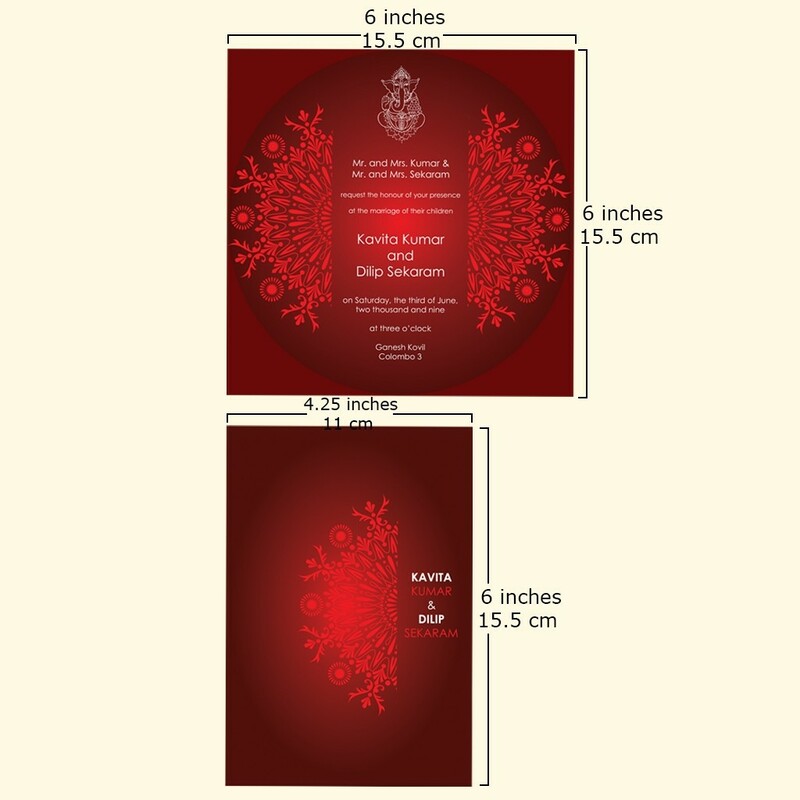 This elegant Hindu Wedding invitation design is sleek and unique with its slip in case. 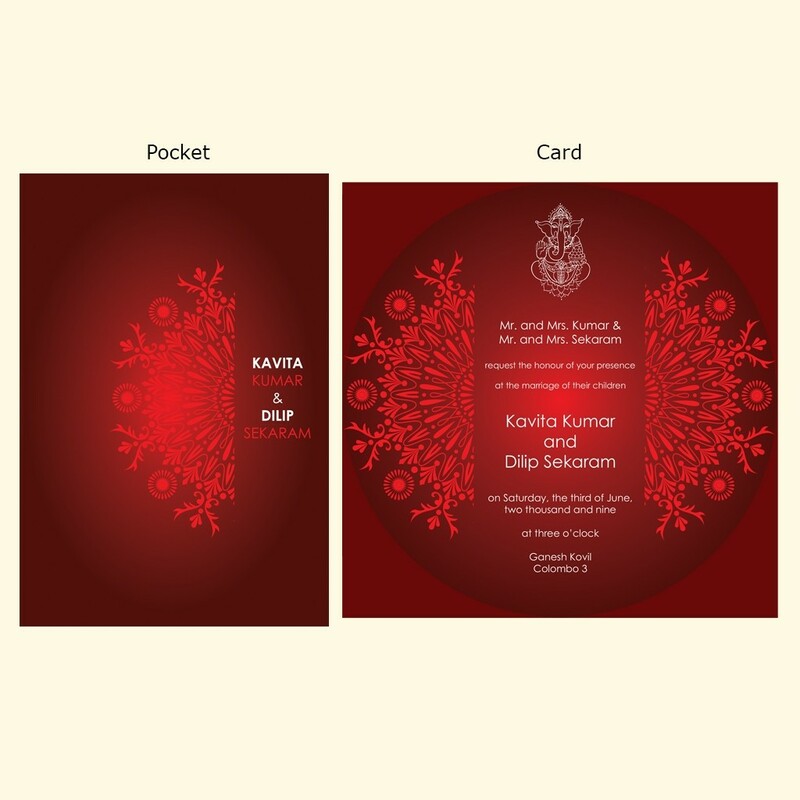 You can either use the invitation design as is or if preferred with an envelope alternatively. 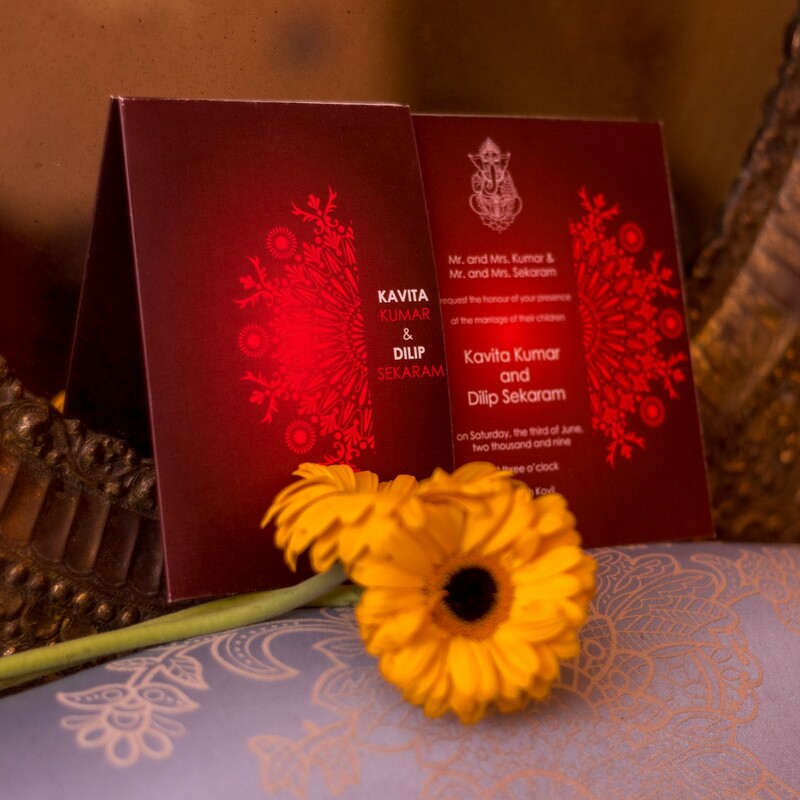 Preserving the traditional elements of conventional Hindu Wedding, this design strives to give you a slight contemporary twist.